Andrée Greenwell is a highly diverse composer, songwriter and performer, who works across the Australian performing arts, screen and radio. Her catalogue of around 100 scores includes credits for Australia’s leading performing arts organisations including Sydney Theatre Company, Symphony Australia, Australian Dance Theatre, Bell Shakespeare, Belvoir and Queensland Music Festival. As artistic director and composer of Green Room Music (GRM), her capacity to create independent music theatre and multidisciplinary works in Australia is unmatched. 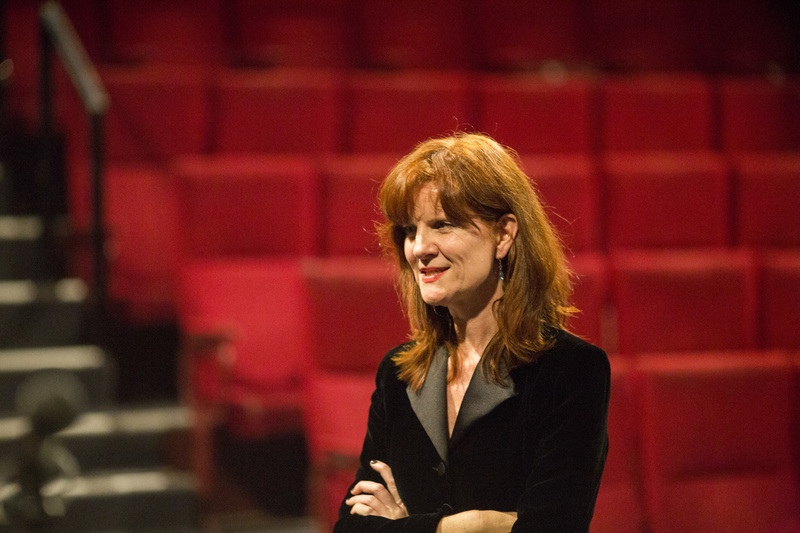 Her major works include Dreaming Transportation, The Hanging of Jean Lee, Laquiem: Tales From the Mourning of the Lac Women​, The Villainelles and Gothic, which have been presented at Sydney Opera House, Sydney Festival, Performance Space at Carriageworks, Riverside, Arts House and the Arts Centre, Melbourne. Her groundbreaking short films Medusahead and Laquiem were altoghether presented at 23 film festivals worldwide and broadcast in France, Holland and Australia. She is the 2018-19 recipient of the Australia Council for the Arts Music Fellowship. Andrée's collaboration with writer Hilary Bell 'Arrows I,II' was a program standout as part of Decibel's commissioned concert After Julia, performed in the presence of the former prime minister at the ABC Studios Ultimo in 2014, and at Perth Institute of Contemporary Art, WA, 2015. Andrée toured as vocalist and choral director for further performances in Melbourne and Brisbane in 2017. She was commissioned by 2011 Queensland Music Festival artistic director Deborah Conway to co-compose Behind the Cane with David Bridie, involving over 100 artists from the community of Bowen. Over 8,000 people saw this work performed by the shores of Bowen, telling the little known story of the South Sea Islanders of North Queensland. Andrée's acclaimed experimental concept album/podcast Listen to Me in response to the crisis of violence against women, involving 8 Australian writers and 12 musicians was broadcast on FBi's 'All the Best' in July 2018. Listen to Me was supported by the Australia Council for the Arts and Musica Viva. Andrée is currently developing a chamber opera Three Marys to be workshopped at Opera Queensland in partnership with QPAC in 2019. She is composing the score and sound design for Bell Shakespeare's production of Much Ado About Nothing for national tour this year. Artist residence, Chateau de La Napoule, France, 2002. As delegate/panelist: ISCM World Music Days 2000; Visionlines, Aarhus, 1998; ITI Music Theatre Workshop, Munich, 2004; Board and Programming Committee Member, 2nd Women Composers Festival, Malthouse, Melbourne, 1993.